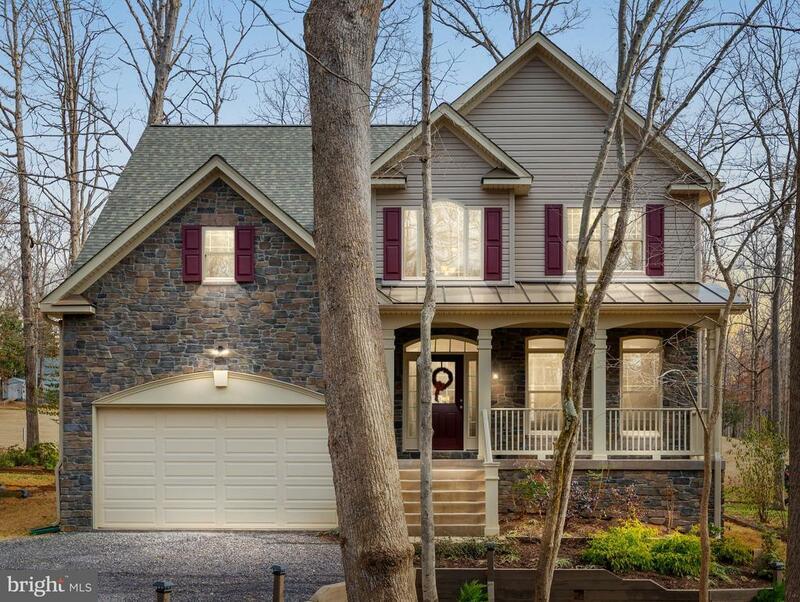 BE THE FIRST TO OWN THIS NEW CONSTRUCTION STONE FRONT COLONIAL! MAGNIFICENT GOURMET KITCHEN W/ TONS OF GRANITE COUNTERS, INCL A BREAKFAST BAR, STAINLESS STEEL APPLIANCES, LOADS OF STORAGE, RECESSED LIGHTS & NATURALLY-LIT BREAKFAST RM! FORMAL DINING RM W/ ELEGANT FEATURES - CHAIR RAILING, CROWN MOULDING & TRAY CEILING! AWESOME LIVING RM W/ GAS FP, OPEN TO KITCHEN W/ WIDE, ARCHED ENTRYWAY! BEAUTIFUL HDWD FLOORS IN THE 2-STORY FOYER! FINISHED BASEMENT W/ HUGE REC RM FOR ENTERTAINING, A HALF BATH & SECOND GAS FP! HUGE MASTER W/ VAULTED CEILINGS, MASSIVE WALK-IN CLOSET, BUILT-INS & REAR BALCONY ACCESS! LUXURY ENSUITE W/ LARGE SOAKING TUB, SEPARATE FRAMELESS GLASS SHOWER, DOUBLE VANITY & CUSTOM TILING! COVERED FRONT PORCH READY FOR YOUR ROCKING CHAIRS! HUGE REAR PATIO, BACK PORCH & UPPER LEVEL BALCONY OVERLOOKING 8TH GREEN! LAKE OF THE WOODS GATED COMMUNITY, INCL BASEBALL & SOCCER FIELDS, BASKETBALL & TENNIS COURTS, SWIMMING POOL, GOLF COURSE & SO MUCH MORE! Directions: VA-3W Toward Culpeper. LEFT onto lake of the Woods Way (Gate Access Required) . Take 2nd LEFT onto Lakeview Pkwy. Turn slight LEFT onto Limestone Ln. Take 1st LEFT onto Sand Trap Ln. Home is on the LEFT.